The Uber empire in Asia has been reduced to one big market: India. The ride-hailing startup announced Monday that it has sold its business in eight countries across Southeast Asia to Grab. In return, Uber will get a 27.5% stake in its rival. Uber previously bailed out of Russia in 2017, and sold off its operations in China in 2016. The broad retrenchment has raised questions about the Silicon Valley company's commitment to India, a major foreign market where it has spent over $1 billion. Uber has battled for years with Ola, a homegrown startup based in the Indian tech hub of Bangalore. Ola has more than 1 million drivers in India, and operates in 110 cities. Uber offers rides in just 30. Ola also has partners with very deep pockets. The company is backed by SoftBank (SFTBF), a Japanese tech giant that has also invested in Grab and, more recently, Uber. Didi Chuxing, which pushed Uber out of China, is also among Ola's investors. The Indian ride-hailing market is very competitive and unprofitable, according to Tom De Vleesschauwer, a transport analyst with research firm IHS Markit. Uber's plans to go public next year and the growing pressure for it to focus on more profitable markets make it "most likely" that the US company will sell out of India in the next year, he said. Uber has so far rebuffed speculation that it might exit India. CEO Dara Khosrowshahi said in New Delhi last month that the country is a "very important market, not only in terms of our business today but where our business is going to be five or ten years from now." 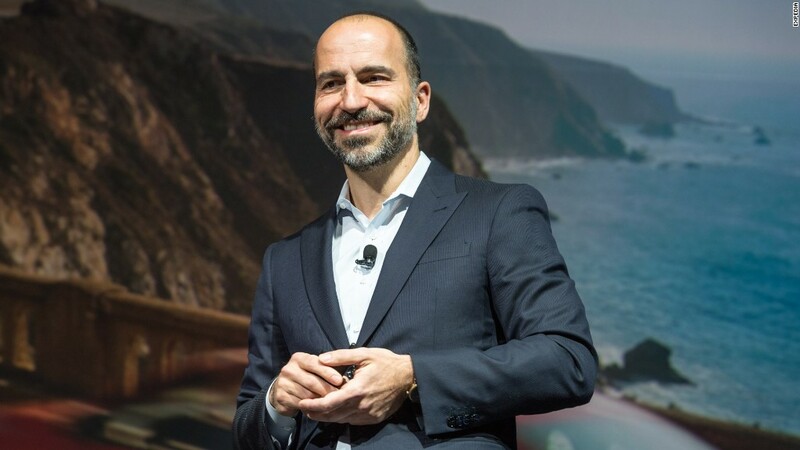 Khosrowshahi also said on Monday that Uber is not looking to close up shop in any other markets. "It is fair to ask whether consolidation is now the strategy of the day, given this is the third deal of its kind, from China to Russia and now Southeast Asia," he wrote in an email to employees that was posted on Uber's website. "The answer is no." Ola did not respond to a request for comment. Masayoshi Son, the billionaire founder of SoftBank, is something of an X factor. SoftBank took a 15% stake in Uber at the end of last year, putting Son at the center of a web of ride hailing investment. Grab President Ming Maa told Reuters on Monday that Son was "highly supportive" of the deal Uber struck with Grab. Would he feel the same way about Uber leaving India to Ola? "Uber and Ola already have an indirect relationship," said Anna-Marie Baisden, head of automobiles at BMI Research. "It might depend on how any potential partnership is structured as to whether it goes ahead." Other experts believe Uber may now double down on India. "India is the last large market [for Uber] outside of Europe and North America, so they'd like to keep this market." said Satish Meena, a senior analyst at Forrester Research. Meena compared the company's focus on India to that of another tech giant, Amazon (AMZN), which has poured in billions to make the country one of its top international markets. "Uber would like to keep this market and spend some more time before taking the call," Meena added. Ola, meanwhile, is taking the fight to its American competitor in another international market. It recently announced an expansion into Australia, where it will be playing catch-up to Uber's more established presence. -- CNN's Sherisse Pham contributed to this report.